Great place to stay. Very impressed and would book again in future! Location. When we told clerk about the broken lamp ho offered to upgrade the room but we were too tired to make the move. 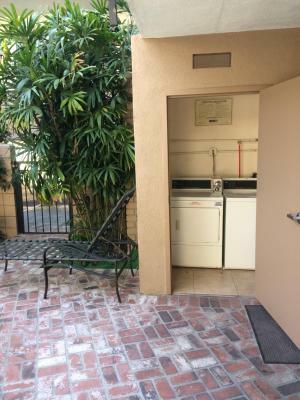 I like the location and price. They are renovating rooms and I can't wait to book one of the newly renovated rooms. Updated bathrooms, cute older hotel in a nice area. The staff were the best part, they were all patient and friendly. The vending machines and pool area were good. Central courtyard layout of the building was pleasant, location was convenient to everywhere I needed to be. Free parking with excellent cameras. I felt safe inside the building. Facility is very close to our family living in the area. Free parking is a plus. The staff were very friendly, the locaion is top notch and everything was good. 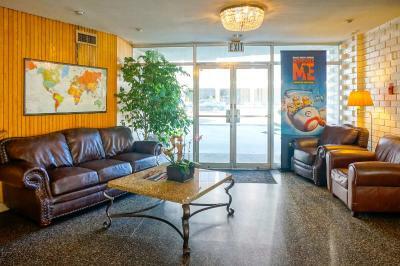 Location was great near Downtown, Koreatown, Hollywood Blvd, Tar Pits. Vibe of the whole place was great-such interesting guests and loved the breezy hallways. Staff was accessible, down-to-earth, and helpful. Great cleaning staff. Extremely spacy with a whole fully-furnished kitchen and living-room for a decently reasonable price! Very clean!!! The room was very comfortable for what I was asking for. It was neat, clean and I had everything I needed. Staff was very courteous. What I like most about staying at the Dunes is the convenience. Metro subway is close and so are the buses if you don't drive. They run quite frequently. So I was able to get around with no problems. If you need things like good restaurants, CVS (drug store) and other stores for your personal needs they are right up the street. 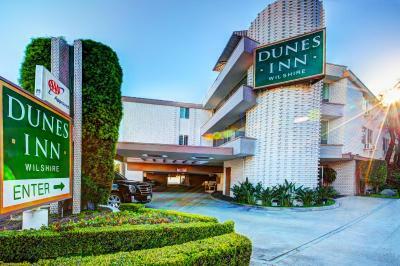 Dunes Inn - Wilshire This rating is a reflection of how the property compares to the industry standard when it comes to price, facilities and services available. It's based on a self-evaluation by the property. Use this rating to help choose your stay! 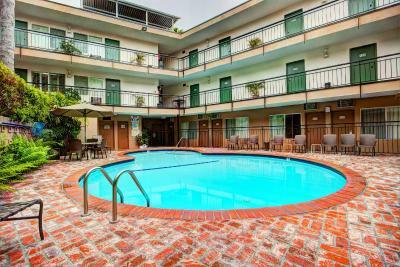 This Los Angeles hotel is located on Wilshire just outside of Koreatown. 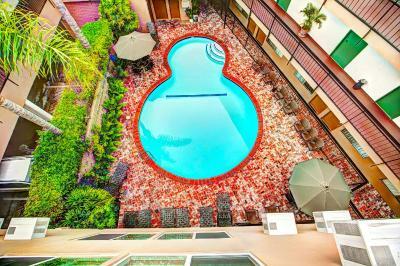 The property offers free parking and and outdoor pool. 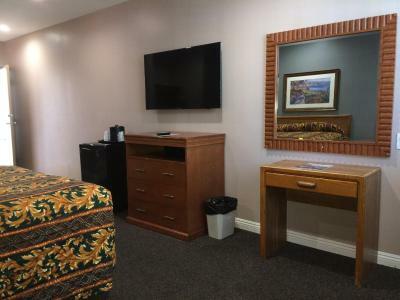 All the air-conditioned guest rooms at the property include satellite television, a mini refrigerator, and an iron with ironing facilities. 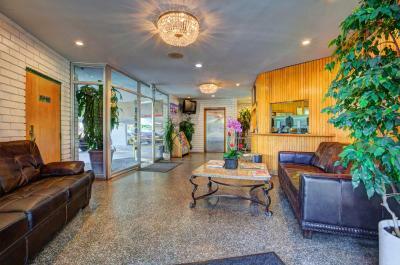 The property also offers a 24-hour front desk and discounted prices on select tours and shows. There is also a shuttle service available for an additional fee. Paramount Studios is 1.5 mi away, while the Los Angeles County Museum of Art is 2.1 mi away. The Farmers' Market is 2.2 mi from the hotel. 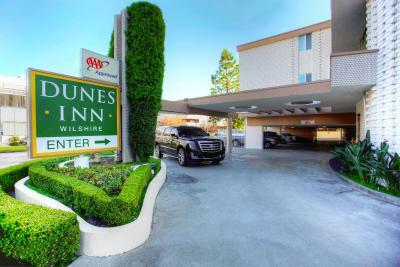 When would you like to stay at Dunes Inn - Wilshire? 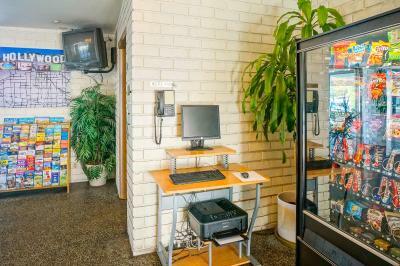 Free Wi-Fi, a satellite TV and a small fridge are included in this air-conditioned room. 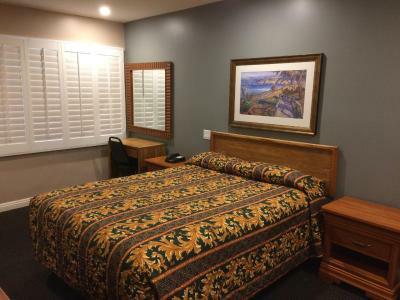 House Rules Dunes Inn - Wilshire takes special requests – add in the next step! 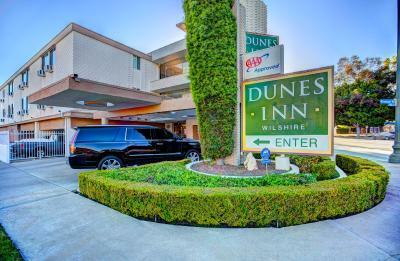 Dunes Inn - Wilshire accepts these cards and reserves the right to temporarily hold an amount prior to arrival. Please note, guests must be 18 years of age or older in order to check-in. Could have been cleaner. AC loud. Noisy Out dated rooms Slipped on pool stairs that was extremely dangerous, hurt my back. Manager said pool was closed nail in bottom of pool Ask when checked in if pool was heated was told by front desk it was and it wasn’t. Had to extend to go to doctors for my back. Staff very unfriendly. Carpet in the room, nobody wants to walk barefoot over years of unknown stains. Beds were hard, you could hear the people above us and next to us. Constant noise all night from traffic which kept us up after a long day. There was Renovation going on at time of visit. Other then that it was nice. Construction in the rooms next to mine. Woke me up early 2days. Asked for high floor. Given 2nd floor. People above walked around 1/2 the night. Unable to sleep 2 nights.